My mother made catfish on Fridays as part of her weekly rotation of dishes. I was always amazed by the crispiness of her fish. She let it sit in cornmeal for about 5 minutes—a technique I use today. Excerpted from Soul by Todd Richards. Copyright © 2018 Oxmoor House. Reprinted with permission from Time Inc. Books, a division of Meredith Corporation. New York, NY. All rights reserved. Combine the buttermilk, Worcestershire sauce, Hot Sauce, granulated garlic, granulated onion, and 1 teaspoon each of the salt and black pepper in a large bowl or large ziplock plastic freezer bag. Add catfish pieces; cover or seal, and refrigerate for 2 to 8 hours. Whisk together the cornmeal, cayenne, remaining 3 teaspoons salt, and 1⁄2 teaspoon black pepper in a shallow dish or pie pan. Heat the oil in a skillet over medium. Remove the catfish from the buttermilk mixture, and dredge in the cornmeal. Let stand 5 minutes. 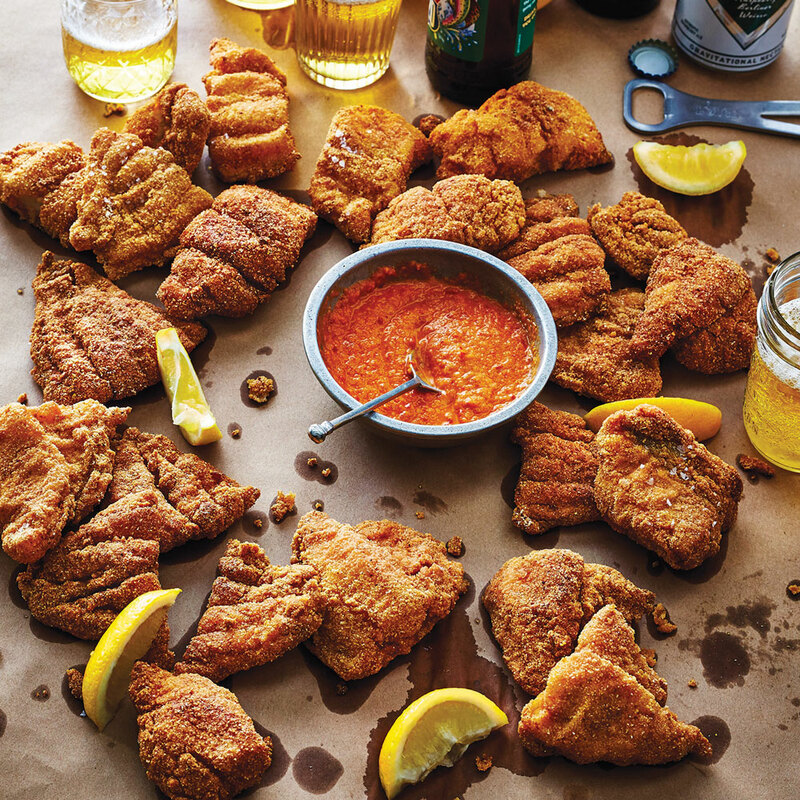 Fry the catfish (large pieces first), in batches, until golden brown 5 to 7 minutes per side. Drain on a plate lined with paper towels. Serve with hot sauce.